Need to store lots and lots of data on premises? Readers suggest you evaluate Cloudian HyperStore -- an on-premises scale-out object storage stack that can run on commodity hardware, encrypts all its data, and is fully compatible with Amazon Web Services S3 APIs. That last point was especially important to Calligo, a cloud services provider based out of the Channel Island Jersey that uses Cloudian for media and archival storage for its customers. "There are so many apps that just plug in to S3 these days," said Julian Box, Calligo CEO, or instance backup and file sharing apps such as Veeam and ownCloud. "That way you don’t have to think about the compatibility." Further, "S3-compatibility makes this a great product for trying cheap then moving later," pointed out another reader. Compared with other object-storage solutions, readers also cited Cloudian for its hybrid model that allows users to offload data to AWS for long-term archival, and for its elegant management console where systems administrators can specify data retention and protection policies across the geographically distributed HyperStore cluster. Or, to quote another Cloudian fan, "We believe that their S3 product is a forward looking storage technology with features that organisations will require moving forward." How have you implemented object storage? 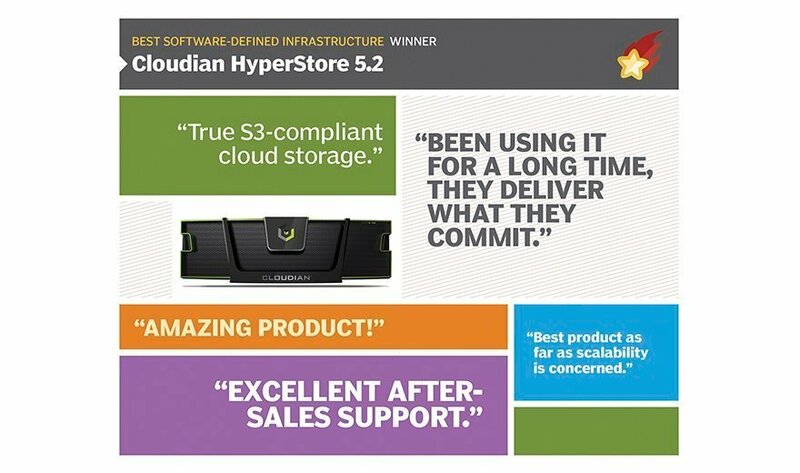 Well, Cloudian HyperStore 5.2 is a forward-looking software defined storage software product. Cloudian addresses many of the current requirements in capacity storage and is working to meet new customer requirements as they expand their use of capacity storage in their organizations.